Patina Copper Pendant is hand cut and textured. Fossil Coral cabachon bezel set in fine sterling silver. Patina copper pendant, bezel, and hand fabricated copper S-clasp. 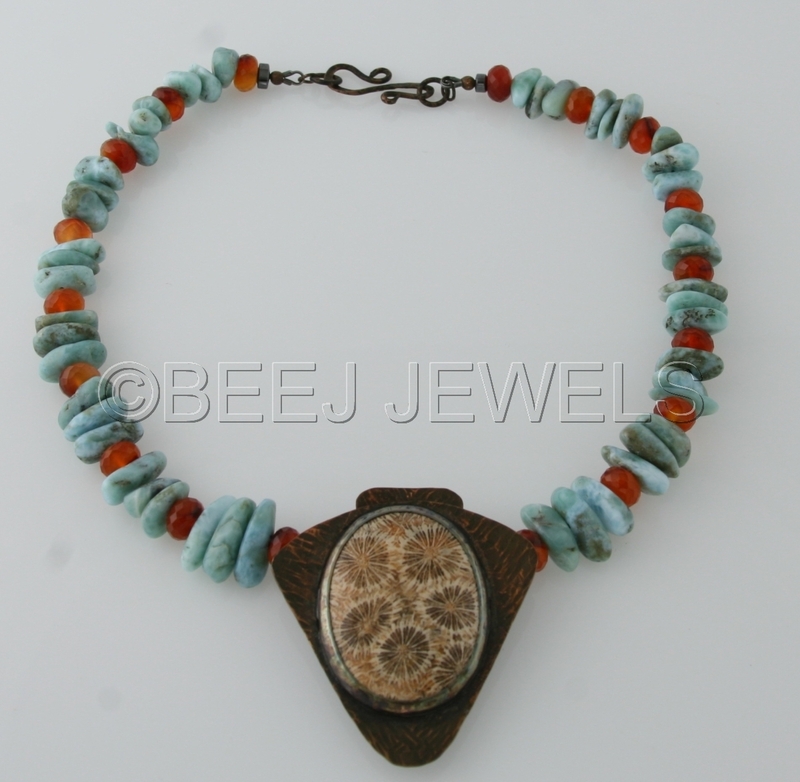 Caribbean Blue Larimar,Carnelian rondells, small oval hematite beads. Overall length of necklace including S-clasp is 16".